My trekking group camped on a hotel terrace at this gateway village to the Everest region in November 2008. It is at an altitude of 3440m. 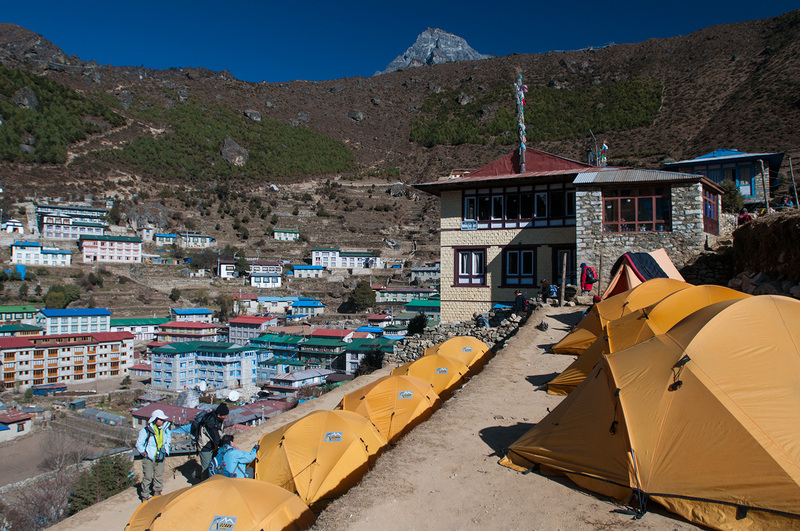 Namche Bazaar has grown rapidly in recent years as the burgeoning trekking industry bring ever increasing numbers of toursists to the area. Many visitors spend two or tree nights here to acclimatise to the altitude pefore proceeding up valley.